When we think about language, often what comes to mind is language that can be spoken, like English. Rarely does sign language come to mind. It might even amaze you to learn that contrary to widespread misconceptions, sign languages have their own grammar and syntax, and can be as complex as spoken languages. 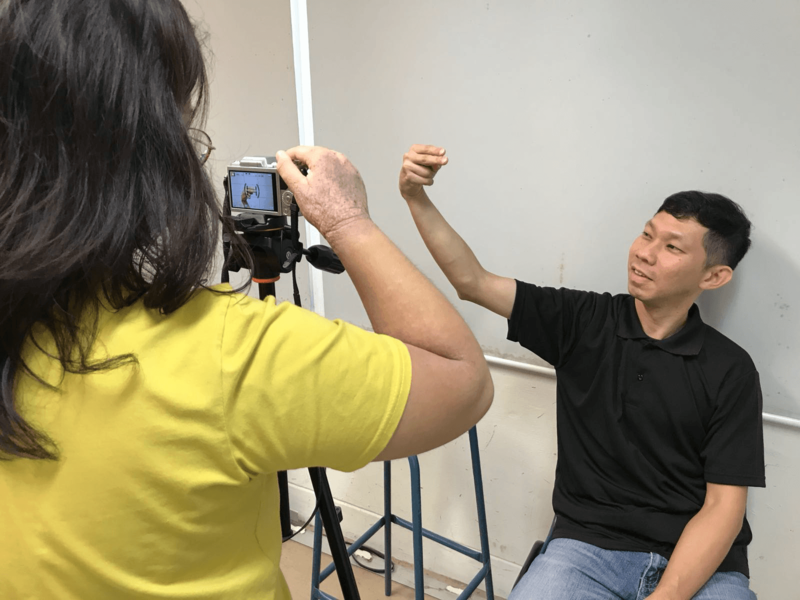 Two students from Linguistics and Multilingual Studies, Azzam Akbar and Clara Chee, were given a unique opportunity to work with the local Deaf community on Singapore Sign Language (SgSL). SgSL is a developing language that is recognised by the Deaf Community. 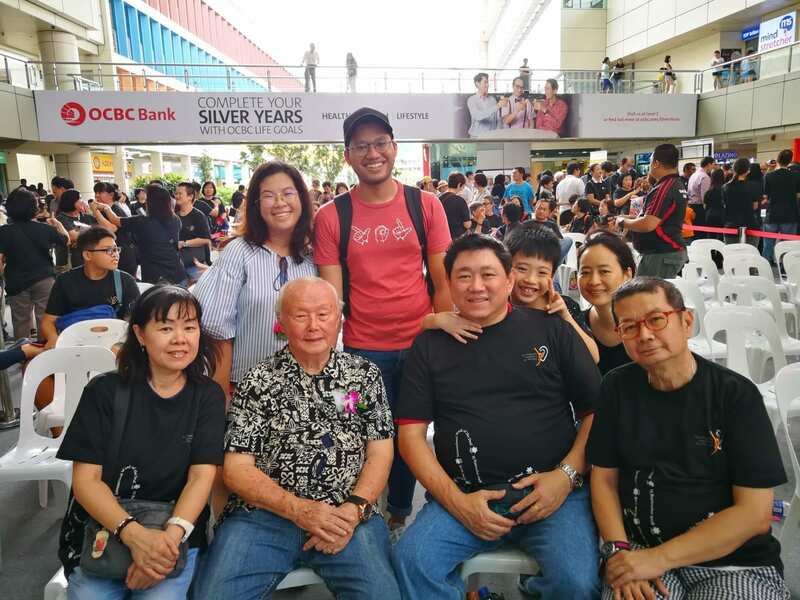 There is little to no documentation of the language and it has evolved — literally silently — over the years together with other languages in Singapore. Ng Bee Chin, internship advisor from LMS. Azzam and Clara have always been interested in SgSL which they learnt at Nanyang Technological University, Singapore. In May to July 2018, they took up an internship with the Singapore Association for the Deaf (SADeaf). The aim of the internship was to produce a draft of the first online SgSL sign bank. 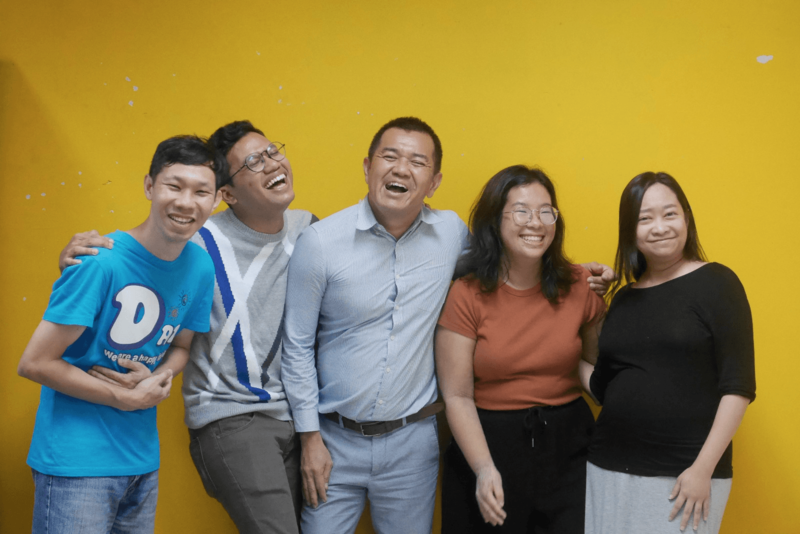 This was organised by their internship advisor Associate Professor Ng Bee Chin from the Linguistics and Multilingual Studies programme. In two months, they videoed 100 signs from the modified Swadesh list for sign languages. They also set up a website with basic information on SgSL and video clips with of the 100 signs. The draft can be seen here: http://www.sgslsignbank.org.sg/. Each entry in the sign bank has an explanation of how to sign it, a GIF, and pictures showing the sign’s movement. Given the novelty of this documentation and the ever changing nature of language, there is also a feedback form on the website to get input from the Deaf and the Hearing. Azzam and Clara are extremely grateful to have met really kind Deaf and Hearing colleagues at the association who were willing to guide and give them new opportunities. 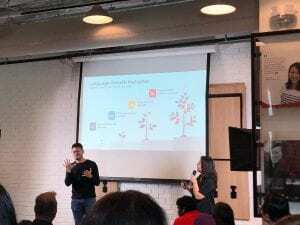 After their internship, they were also invited to present their work on the SgSL online bank at the Red Box as part of a series of talks in commemoration of the International Week of the Deaf 2018. For their presentation, they decided to take turns interpreting and speaking; this was challenging since it was their first time delivering a public presentation. Working with the Deaf Community on SgSL has allowed Azzam and Clara to meet Deaf people from all walks of life. This has taught them that just like spoken language, each Deaf individual’s experience with sign language is unique and complex. They hope that work on the sign bank will not stop here and that it will come to reflect the local Deaf community as comprehensively as possible.